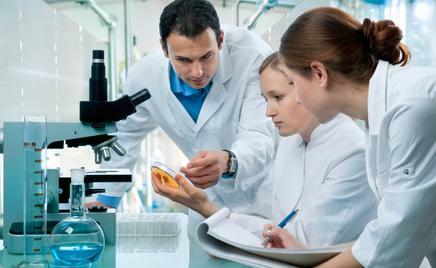 GPS LABS chemists and technicians have unique qualities which make them standout among other testing firms. One of the requirements to be efficient in air emission testing and environmental sampling is to have a thorough understanding of the pathways to achieve a successful and economical air testing plan. GPS LABS employees have expertise in both stack emission sampling and industrial hygiene monitoring. Because of this inter-discipline experience in both fields of air sampling, we can compile a standard or site specific emission testing plan to meet the most stringent requirements. Another unique quality is our experience in the actual analysis of air, water, soil and sample collection media. This analytical experience extends to volatile and semi-volatile compounds, PCB's, pesticides and dioxins. From air sampling to sample transport to laboratory analysis let GPS LABS lead the way. We have extended this analytical expertise to laboratory method development at your site location. We excel in the field of environmental methods and science, organic compounds, metals and persistent organic compounds (POP's). For more information about our professional services including stack testing, industrial hygiene monitoring, environmental sampling, and more, please contact us at GPS LABS. Our office is located in New Windsor, New York, about 60 miles north of New York City. ©Copyright 2012: GPS LABS | Stack Testing | All rights reserved.